This description of Reginaldo Haslett-Marroquín's work was prepared when Reginaldo Haslett-Marroquín was elected to the Ashoka Fellowship in 2018. Regi Haslett-Marroquin engages immigrant, young, small, new and established agricultural entrepreneurs in the US in refining and championing a global model for small-scale, poultry-powered (and planet cooling), scalable regenerative agriculture system. Conventional agriculture not only exploits its laborers, but it eventually depletes - and even harms - earth’s natural systems. Regi, himself an immigrant from Guatemala, has championed a model of regenerative agriculture that helps farm workers in the US (the majority of whom are Hispanic) and small farmers globally land economically viable and dignified productive roles as part of a regenerative food system. This is no small feat. Regenerative agriculture is vastly different to organic or conventional agriculture, and it often doesn’t compete favorably with conventional agriculture during the development phase. U.S. consumers - who spend the smallest percentage of their incomes on food of any other country in the world – still don’t see the value of supporting the additional costs of shifting the way food is produced, financed and brought to their tables. However, this paradigm is changing fast, further increasing the variety and abundance of new, regenerative models. Part of the genius in Regi’s model is that some of the additional start-up work – of regenerating the soil, actively and continually weeding, managing pests, fertilizing, working the soil, and literally cooling the planet - is performed… by chickens. From their 100+ acre demonstration farm in Minnesota and through a few early-adopters in the Midwest, Central America and Mexico, an interdependent mix of native perennials and vegetable crops are grown to form a native canopy (like hazelnut and elderberry bushes in the Midwest; or forest, nut and understory food species in Guatemala) that shade and protect the hard-working chickens. Regi and his team have refined a model that is helping immigrant “agripreneurs” set up their own small farms first throughout the Midwest region and beyond as a global demonstration for small-scale farmers. Additionally, they have started scaling the spread of the model through a network of farmers, nonprofits, farmers associations, civic, public, and industry leaders. Each of them helping champion a replication process capable of reaching large numbers of 1.5 and 3 acre “production units” in their constituent states plus related stacked enterprise sectors like grain production, and poultry processing, value added products, etc. Regi’s model is discrete enough to be observed and replicated in its entirety by budding entrepreneurs and understood quickly by investors and consumers. This means that not only is a wave of agripreneurs steeped in the core principles of regenerative agriculture, but they are able to invite others to join the network, aggregate their offerings, and even begin to compete at a scale that can tip the scale towards building an actual regenerative agriculture industry sector. The plan to spread governance, ownership and control horizontally across the players in the system, while vertically integrating all operational aspects of the system ensures the mechanical efficiencies and ownership structure critical for speeding the scaling-up process, and building a core set of competitive advantages and market differentiation. Central to the model is to redesign the way poultry is raised to deliver higher quality, nutritional density and taste while keeping cost stable and even more affordable. This redesign also incorporates strategies for farmers to reduce costs and increase productivity in small-farm settings, this is done by engineering with efficient energy-based farm management science and technology in mind. This approach supports the restoration of the social web of connectedness (social regeneration), while building, distributing and reinvesting wealth created (economic regeneration), and restoring native forest and perennial covers to the land which in turn protect the water, build soil, sequester carbon and rebuild the natural ecological resilience of regions (ecological regeneration). The key to these triple bottom-line results are nested in bringing back the natural habitat where the chicken evolved for millions of years (jungle), and linking it to the modern challenges of restoring rural economies, solving poverty and hunger, and reforesting regions critical for human survival. It is the capacity to deliver these kinds of results that makes the system competitive by design and innovative as an industry sector. Regi, trained as an agronomist in Guatemala and in business management in the US, thinks of farmers as energy managers, and of functioning farms and regions as ecosystems. He says “as farmers we don’t produce anything -- nature does. We simply manage the process by which un-edible energy is transformed into edible energy, from soil to carrots, from grain to eggs and chickens. When we understand this, a whole world of possibilities opens up; when we don’t, we fall into linear, input and output-based ways of thinking that waste energy and, as a consequence, discharge large amounts of unwanted polluting energy into our soils, waterways and air.” His take on conventional agriculture is that the monoculture fields are incredibly inefficient, and that much energy – including all the excess fertilizer pumped into fields “creates vast discharges of nutrients into the water systems, soil and atmosphere” – is lost. The problem of agriculture is one of energy. Why does such an inefficient system persist? Regi points to three types of subsidies, all fiercely protected by a recalcitrant farm lobby. Public subsidies, like tax write-offs, tariffs, and federal programs; Environmental subsidies, in that environmental externalities like pollution to water or depletion of soil are not costed; and Labor subsidies, in that cheap labor across the system is allowed, in part because over half of the 35M people who work in our food and agriculture systems are Latino, many of whom are denied full citizenship which keeps them vulnerable and on the run, effectively creating a system intentionally and systemically primed for exploitation and abuse. Regi believes that, “our food and agriculture system does not need fixing, it needs to be replaced with a different one.” This is why, despite many good intentions, the current menu of fixes that expect the industrial system to solve world hunger (when its primary purpose will always be to make a profit) continue to fail. Over time, Regi has observed that efforts to modify or tweak market systems come in one of two flavors: eliminations or prohibitions, such as elimination of toxic inputs that can earn an organic designation, the elimination of cages under humanely-raised labels, or prohibition of certain practices like confined-animal feeding operations. For someone raising chickens, for example, this incremental march towards greater sustainability through eliminations or prohibitions is a losing proposition. Anecdotally, in California, poultry farmers had just finished rehabbing all their chicken cages to add 3 inches of width and to meet more stringent regulations when cage-free standards were introduced. Those investments were a wash. Anyone caught in such a race to the bottom will quickly find himself trying to fix a broken system, with no real end in sight. So how does one go about replacing a system as large as agriculture? You start small. But small farmers, individual farm workers, and even aspiring agricultural entrepreneurs despite their large numbers and ability to cause real change in the long-haul, face major systemic challenges themselves. In Minnesota, where Regi is based, many farm workers are Hispanic, and the percentage of Hispanic Minnesotans living below the federal poverty line is more than twice that for all Minnesotans. And even though many of these families have experience in farming back in Latin America or Mexico and desire to have careers in agriculture, lack of access to land, credit or working capital, and the structure of the current food production system are barriers to earning a living wage in agriculture and moving beyond providing cheap labor. Starting in full force in 2016, Regi has refined a model that helps transition and transform small farm holdings into a regenerative poultry-centered global movement. He believes that for agriculture to be regenerative it needs to incorporate animals, not only for the “labor” that they freely offer (continually weeding, managing pests, fertilizing, working the soil), but for the protein and other products they provide. In designing for global replication, chickens became a clear part of the solution, in that they fit in most cultures and ecologies, and have a universal presence. Their short lives, economic cycle and ability to provide healthy protein (in both eggs and meat) are but a few of advantages of a poultry-centered strategy to address global hunger and rural poverty -- as long as traditional knowledge is systematically re-arranged and re-deployed to generate scalable, standardized and verifiable processes, and organized to deploy under a coordinated system capable of aggregating into large-scale systems of small farms. From that starting point, Regi designed a system to follow natural energy flows and play to chickens’ natural tendencies and strengths. Chickens evolved as jungle fowl, so to look today at one of the world’s most sustainable poultry farms - that not only sequester carbon but deliver healthy and diverse foods and can actually help cool the planet – is to peer through a canopy of native, perennial cover crop (hazelnut bushes in the upper Midwest) at a variety of perennial and annual food crops, interspersed with free-range chickens that browse for bugs, work the soil, and fertilize the crops from the shade, comfort, and safety of their “TreeRange™” farm. While chickens are ubiquitous globally and a key set of standards can be applied across the world, the mix of food crops or ground cover will necessarily change to accommodate ancient foods as well as economically valuable and native species. To help someone in any geography find the right mix of crops, Regi has designed a very intuitive and interactive rubrics for weighing the economical, environmental, and social potential in a triangular format with prompt questions like “Does it sell and create income?”, “Is it native?”, and “Is it widely acceptable by the community?” Each crop run through this process is mapped to its place on the diagram – the closer the center the stronger it aligned with each question – and in places like Northern Guatemala where the model is being spread, the result is bananas, yucca, yams, and a dozen other forest species that enhance productivity, fit local market demand, provide food security, replace perennial cover to the land (and with it, the natural habitat of the chicken). In some sense, the individual mechanics are not groundbreaking. But where this starts to get particularly interesting is how this model is explicitly helping systemically disadvantaged groups acquire economically, dignified and productive roles in our food system while at the same time becoming the global ambassadors of this idea. If asked to list just two main prongs of this comprehensive approach, Regi would point to first the model for agriculture with fair, sustainable byproducts (as described above), and then equitable ownership by the “energy managers” doing the bulk of the work, and most overlooked in our current system. On this front, Regi and his team have created an innovative agripreneur training program that capitalizes on cultural strengths of this predominately Hispanic workforce, and addresses challenges often tied to structural racism: the lack of access to land, working capital, marketing and business support infrastructure, and focused training. The training starts with community building and experimental farm-learning opportunities, advances to classroom and field training, and then culminates in wraparound support (and cooperative ownership) as they launch their enterprises within the system. From their 100-acre demonstration farm 45-minutes south of the Twin Cities, the independently operated farms in the vicinity, and through myriad partnerships (like with Shared Capital Cooperative that can lend entrepreneurs capital to build chicken coops, Compeer Financial, which shortlists graduates applying for operating or capital loans, or Iroquois Valley Farms which supports farm purchases and land transition), they have not only refined the production unit design and agripreneur opportunity and onboarding, but are now prototyping wider replication through the country starting with a focused number of Midwestern states. An up-and-running demonstration and training farm at Pine Ridge Reservation in South Dakota has served as a critical step in engaging Native American communities. A farm launched in partnership with Via Organica in the San Miguel region of Mexico in Guanajuato, Mexico, and in Regi’s native Guatemala are examples of a replicating strategy intended not only to expand the system but also to increase the speed of learning and polish the design as it is applied to different economic, social and ecological conditions. After receiving training, agripreneurs need only to access land in increments of 1.5 acres (the size of each unit, with the ideal number of units per farm being calculated based on the local and regional economic, social and ecological conditions where the farms are to be deployed) and to come online in the form of regional clusters that generate sufficient business activity to support the deployment of support systems in the form of veterinary services, business development, value added processing, transportation, financing, Regenerative poultry standard, branding and other services. To date, over 3,000 professionals and visiting farmers from almost every state in the United States as well as from Mexico, Guatemala, Nicaragua, Panama, Colombia, Honduras, and Canada have visited the demonstration farm with hundreds formally trained. To connect with even more aspiring agripreneurs, Regi seeks key partnerships all over the world. One such partnership is Maharishi University of Management in Fairfield, IA to consolidate all of the materials behind the system with the intention of structuring educational platforms for degree seekers and farmers alike that can reach as many people as possible worldwide. Other key partnerships Regi is actively cultivating include the University of Queretaro (Mexico), Chapingo University (Mexico), Universidad Rafael Landivar (Guatemala), Universidad de San Carlos (Guatemala), the National Central School of Agriculture (Guatemala), ZAMORANO School of Agriculture (Honduras), and the Earth University (Costa Rica). One of Regi’s astute critiques of the limited ability of even today’s sustainable agriculture to become a viable alternative to conventional agriculture at scale is the fact that while everything at the farm-level is held to a high standard of sustainability, the rest of the economic system upon which the individual farmers depend – from their transporters to the supermarkets to which they sell – are not explicitly aligned to sustainable principles of transparency, fairness, or rural wealth creation. So, in Regi’s model, not only is the farm unit as sustainable as possible, but the wider structures of transporters, processors, marketers, and the like are all being designed for cooperative governance and ownership by the farmers, consumers, and businesses of the middle themselves. And they are big; to compete with conventional, Regi understands the need to create big processers, while also ensuring that governance, ownership and control is shared across the supply chain, especially by small farmers to ensure that the system remains fair. Grantmakers are engaged with the invitation to “de-risk” the investment otherwise being shouldered by the small agripreneurs by funding the local work of refining the model and the rolling out of the regional and global expansion including the support systems and infrastructure. From there, following the example of small-scale, sustainable immigrant agripreneurs and their hard-working chickens, Regi will then turn his focus to reaching as many as possible of the 500 million small farmers the world over as well as the 370 million indigenous peoples who still occupy 20% of the total global landmass. To ensure this happens, Regi has created a Division of Regenerative Poultry Systems Deployment under Regeneration International, which will come into play as the system continues to evolve. 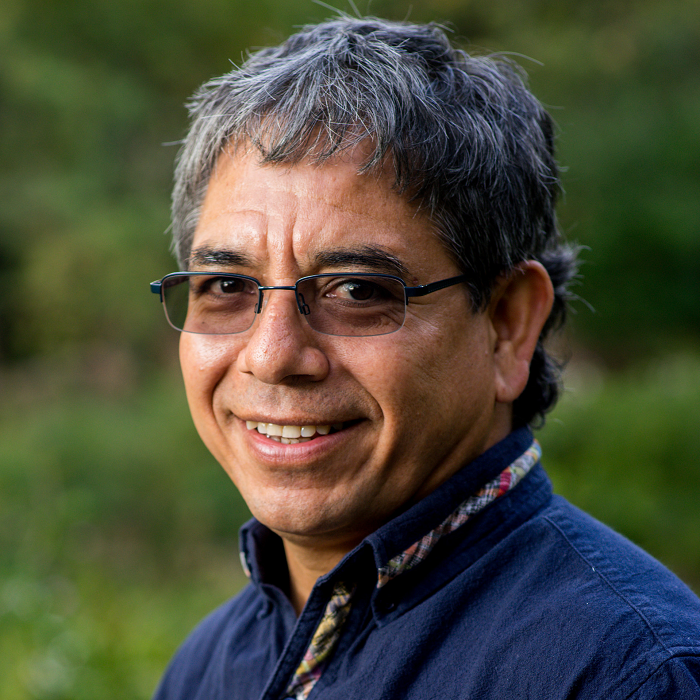 Regi firmly believes that small farmers and indigenous people – those still connected to the land and sensible enough to commit to protecting and regenerating it – are our best hope, and that this is the best way to help them help the rest of us who want to eat well and support the planet’s ecosystems, but don’t farm. Having grown up in extreme poverty in the Northern rainforest of Guatemala, Regi has committed his life to doing whatever he can to ensure that he contributes to alleviating the conditions that create the same suffering for others, no matter where in the world they may be. To this lifelong and global task, he brings a boundless passion and a long history of entrepreneurship. Back in Guatemala before migrating to the US in 1992, he managed the marketing department for an organization that sold crafts from over 3,500 indigenous people from 42 communities. Once he arrived in the US, he started a few similar businesses and in 1995 started the process of founding, organizing, conceptualizing and later launching and managing the start-up phase of Peace Coffee, one of Minnesota’s premier fair-trade coffee companies. Today, from his base in Northfield, MN, his work allows him to reconnect with his home village in Guatemala. In fact, he recently conducted a day-long workshop that showed that the area’s 12,000 people’s spending habits meant that a net $1.25M was leaving the community each year. At the same time, participants noted that everyone had big backyards where bananas, avocados, and oranges grew, though they were not producing or organized and managed to optimize their productivity. Regi is currently directly involved in staunching the flow of money out of his area, by introducing his poultry system under the canopy of a multitude of production systems. Current estimates show that production can be improved 6x while eliminating toxic inputs and reversing outflow of wealth, sequestering carbon in the soil, and especially, building opportunities for youth who are otherwise migrating out of the area, too many making the dangerous trek to the US as undocumented migrants.